What Are Medical Gloves Used For? Medical gloves are a form of protective gear in many different industries but especially the medical industry. They help protect against blood borne pathogens and other pollutants. During medical procedures and exams, disposable gloves help protect against the spread of illness and infection. In the medical industry and as a healthcare professional, it’s extremely important to wear gloves when you’re dealing with someone’s bodily fluids, hazardous drugs, or other harsh chemicals and hazardous contaminants. Disposable gloves used in the medical field must be FDA approved. 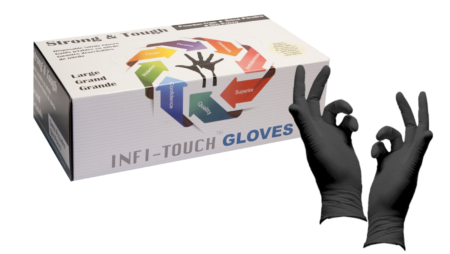 This approval means that the gloves are durable enough and of quality to be used during medical practice. In 2016, the FDA banned the use of powdered disposable gloves due to the higher risks involved. Powdered gloves are believed to cause airway inflammation, irritation and other complications during surgical operations. 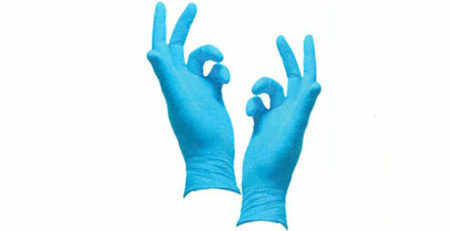 Nitrile disposable gloves are a wonderful alternative to latex gloves. Over the years, latex has always been the material most used in the creation of disposable gloves. However, it causes concern with its higher allergy risks. Nitrile is a durable material that is lesser known to cause irritation and allergies. Nitrile gloves are 3 to 5 times more puncture resistant than latex gloves. They provide similar comfort and flexibility to that of latex gloves. The material conforms to the hand with body heat. They are more resistant to harsh pollutants and chemicals. Nitrile gloves often come with a textured surface for firmer grip. The design of nitrile gloves only keeps improving. Most nitrile gloves feature a polymer or double polymer coating on the inside, making them easier to take on and off. While disposable gloves are used as safety gear among health professionals, it is important to use them properly. Improper use of disposable gloves defeats their purpose of serving as protection. Always wash your hands before putting on disposable gloves. Make sure the gloves you’re using are the right size and fit. Always pay attention to your gloves while using them to assure they don’t end up torn or punctured. Never wash, share or reuse disposable gloves. Change gloves frequently to ensure they’re serving their purpose as protection. Make sure all medical glove packaging is clearly labeled as the FDA requires.